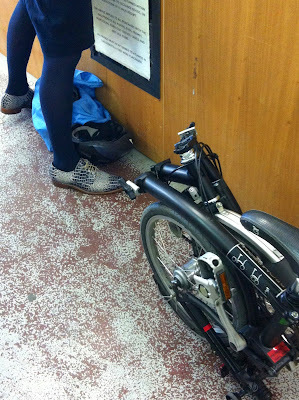 Spotted these quirky crackled leather Brogues and Black 3 speed Brompton yesterday at Atlantis Art Materials shop in Spittlefields. I haven’t worn my tan Brogues all year, because of the bad weather. more shoes! more bikes! please!